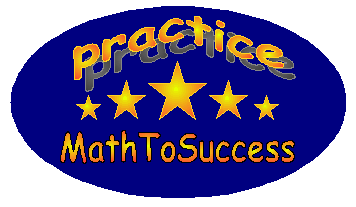 COUNTS MORE provides students in grades 5-8 with specially tailored challenge questions to improve their competition math strength through additional practice. COUNTS MORE is a great complementary to school MATHCOUNTS training with aims to sharpen students' math skills for the MATHCOUNTS competition. There are thousands of creative questions from 682 different patterns waiting to challenge you! Full Length Test: Each full test has 2 sections and a total of 38 questions. Each full test can be tested multiple times and you will get different questions each time. You are expected to finish all questions of a full test in 1 hour and 4 minutes.The time limit is NOT enforced. To take a test or continue a paused test, click the Take/Continue A Test button below.